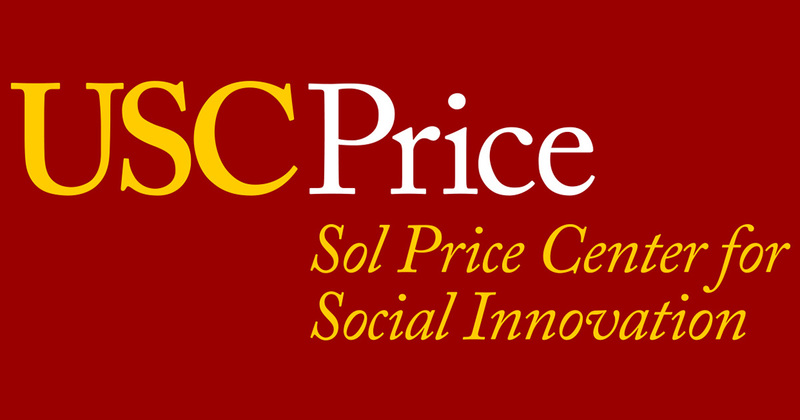 Master of Public Administration students at the USC Price School complete their degrees with a capstone project. 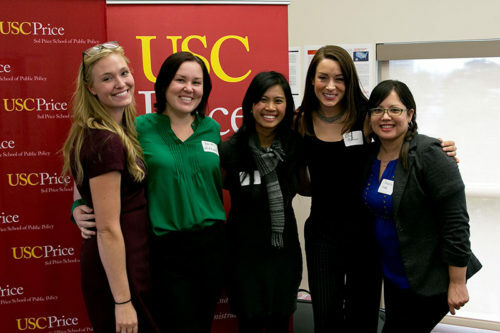 Bridging theory and practice, these MPA capstones provide students with opportunities to apply the skills learned from the MPA program to real-world case studies. Austria accepted more than 90,000 refugees in 2015 and the Austrian embassy wanted to find out how Americans felt about it. A team of USC Price MPA students analyzed six major newspapers and more than 3,600 social media outputs to measure American sentiment and found that Americans did not have a negative reaction to Austria’s refugee policy, but the tools they built could be used to measure American sentiment toward refugees more broadly. The emergence of augmented reality, the overlay of digital information in a real-time environment, has the capacity to make enormous breakthroughs in how government delivers services. Students examined the use of augmented reality to improve emergency management, police, fire, EMS response, and disaster recovery. Key recommendations included developing hands-free display for operations and augmented reality enabled geo-location to improve search-and-rescue efforts. Students analyzed restorative justice programs for the National Conflict Resolution Center and Tackling Homelessness Issues as a Business Improvement District for the City Heights Business Association. 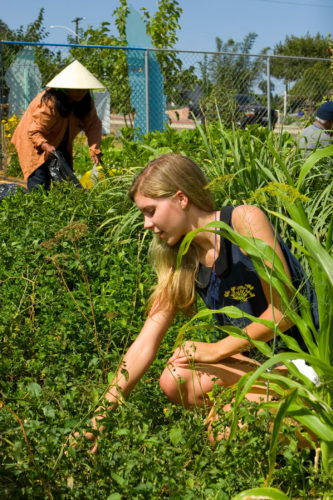 Students investigated community garden program design, implementation and management. The student teams conducted “model practices” research to identify workable strategies from programs in the region and national exemplars. In addition, they focused on site identification, assessment of potential community partners, and financing options to promote community gardens in City Heights. The group recommended ways these community gardens can become self-governed, sustainable enterprises through community engagement, leadership development, intersectional collaborations, and supportive structures and systems.